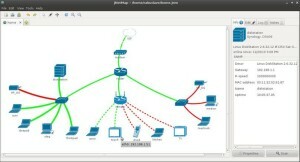 jNetMap is a graphical network monitoring and documentation tool. It will ping all registered devices every x minutes, updating the status according to the result of the ping. 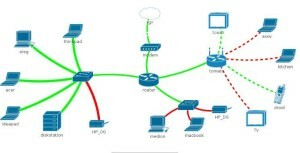 jNetMap helps you to keep an eye on you network. 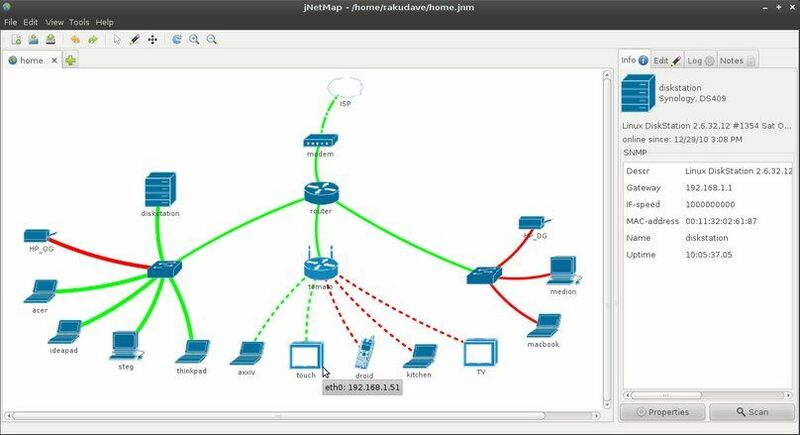 You can draw a graphical representation of your network, and jNetMap will periodically check if the devices are still up or a service is still running. You can also set up E-mail notifications or let jNetMap execute a script when a device goes down or comes up again. 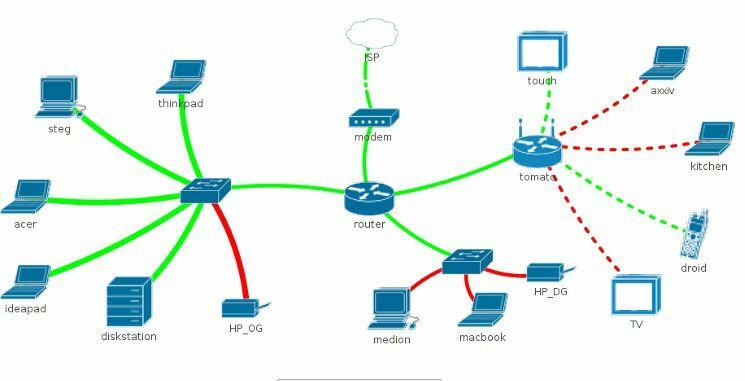 Additionally, you may attach notes to a device, initiate an RDP/VNC/SSH connection to a device and much more. Note: jNetMap is not a network discovery/auditing tool, there are better tools out there for that. And for an enterprise grade monitoring solution, you should check out Nagios instead. The idea here is to have a mission control center-style display for networks. The Getdeb repository provides the packages for Ubuntu and Linux Mint user. Supports Ubuntu 10.04 Lucid and higher.